A Berlin-based social enterprise focused on social entrepreneurship and leadership innovation. Globalisation and urbanisation are major influences in today’s world, impacting many cities on various levels, and Berlin is no exception to this. 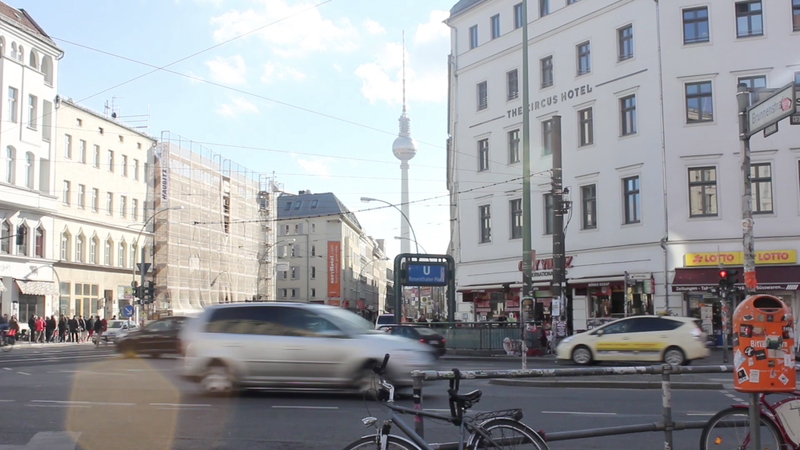 Berlin has found a way of re-emerging as a strategic urban hotspot for creativity and innovation. However, our city is becoming increasingly aware of the many challenges that come with this newfound momentum. We believe that the future of Berlin can be shaped positively by the resourcefulness of the people who live here and call Berlin home. Futureminded Group proactively seeks to collaborate in creating innovative solutions to the challenges our city faces now and in the future. Connecting people to create change. In our projects we seek to collaborate with like-minded people to make a difference locally and globally. Kindness Dignifies is a community-focused initiative seeking to serve some of the most marginalised people in Berlin. This initiative is made possible with the generous support of volunteers from corporate and non-profit sectors working together to express kindness towards others. Since 2011, 4,800 people (including day-care centers, elderly homes, immigration centers and community hubs) have benefitted from the Kindness Dignifies initiative. Join us for the next Walk for Freedom on October 20 in Berlin. To take part in the walk, please register below. Berlin is continuing to emerge as key European hub for the digital economy, which is influencing how we do business today. As the world is changing, new opportunities and challengers will require a new kind of leadership. L.I.F.T. is a leadership development conference hosted by Futureminded Group. This event is designed for you in your role as a leader and influencer in today’s workplace. For the past seven years, a group of runners from various sectors of society has endeavoured to be part of breaking the cycle of poverty by running for clean water at the annual Berliner Wasserbetriebe relay race. The runners are supported by friends, family and colleagues who sponsor them. The funds go towards charity: water, an innovative non-profit organisation bringing clean and safe drinking water to people in developing countries. Since 2011, the annual run has raised $76,781 (€64,180) serving 2,558 people in rural communities. All contributions to this year's fundraising that ends on June 7, 2018 will go towards a sustainable clean water project for a whole community. Shine and Strength Berlin are personal development and leadership programs that empower and equip young girls and boys for the future. Using inspirational, practical and experiential approaches to learning, youth are equipped to become healthy and resilient urban citizens. For these programs, Futureminded youth workers collaborate with youth initiatives and established youth organisations in Berlin. By getting involved with organisations across various sectors in Berlin and around the world, we get the opportunity to serve and contribute to the well-being of society. Bringing food items, clothing, toiletries and other needed items, as well as giving your time and skills. Please get in touch by using the contact form below. Lifting people out of their current situation through partnership and collaboration. Creating new models and strategies through good research and the application of innovative thinking. Thank you for your interest in Futureminded Group. If you have any questions or would like to know more about any of the projects, please feel free to drop us a line.